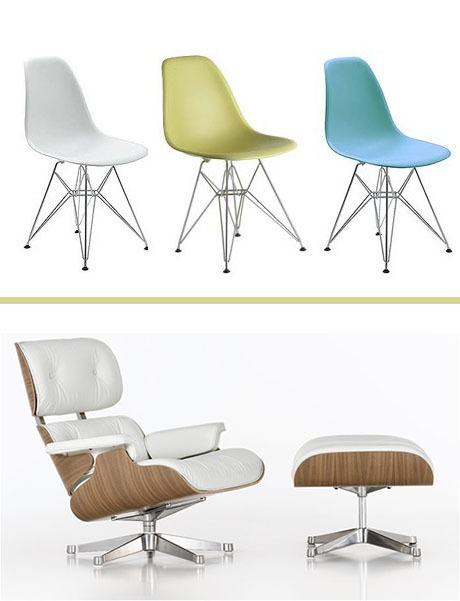 Charles and Ray Eames were influential designers during the formation of the American Modern Movement. They are widely known for their ever popular furniture, such as the Eames Lounge Chair and the Eames Molded Plastic Eiffel Side Chair. Their contributions went far beyond the modern furniture that is still in circulation today. Their philosophies over design help inspire artist and designers today. Ray Eames had her start as an artist, and continued to use her background with sculptures and drawings that complemented and enhanced the movement they were leading. 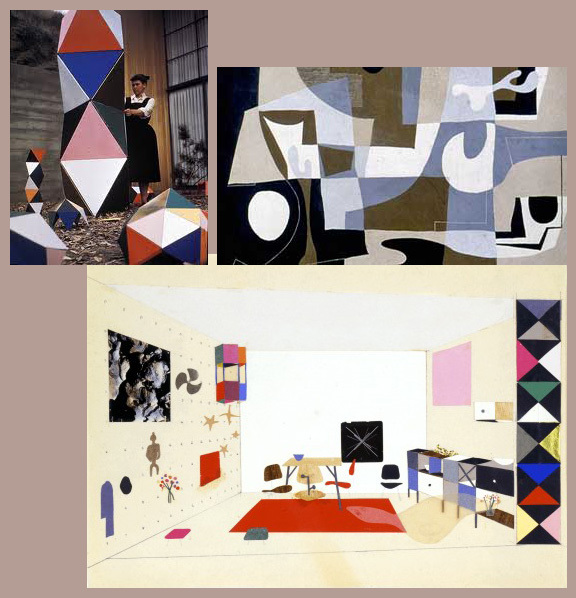 Examples of Ray Eames sculptures, drawings, and paintings. Charles and Ray Eames also designed a home for Arts and Architecture’s “The Case Study House Program”. 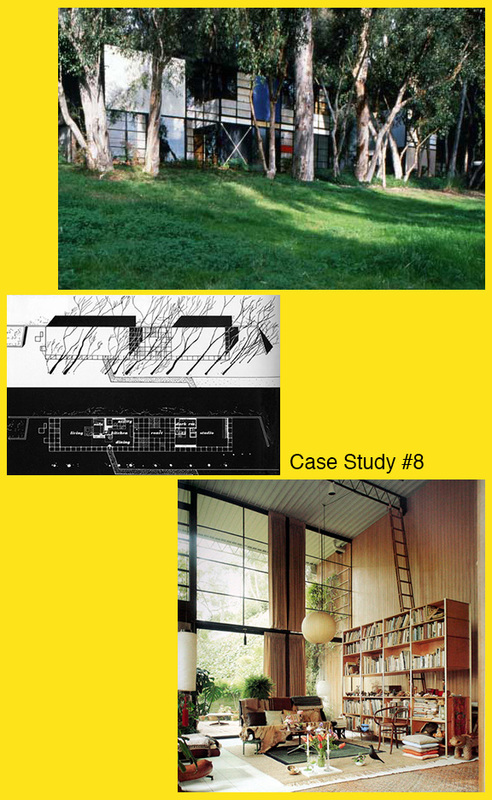 The Case Study #8 created a space where work, life, play and nature all co-existed.